A Shared Elegy presents two pairs of photographers connected by family ties. 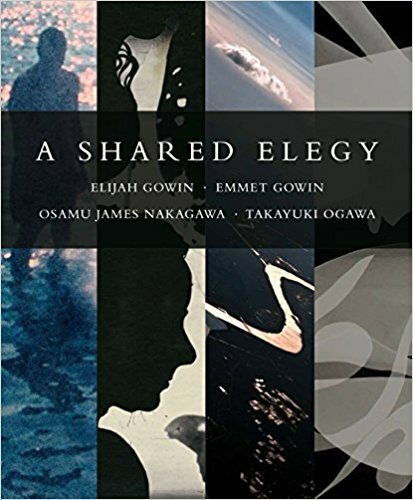 Osamu James Nakagawa and his uncle, Takayuki Ogawa, and Elijah Gowin and his father, Emmet Gowin, present unique but overlapping visions recording family histories. Nakagawa, like his uncle, Ogawa, grew up in Japan and draws upon his country’s traditions and the practice of honoring elders; family heritage and home in Virginia have inspired the Gowins to make photographs that depict the intimate and hallowed nature of the world. These photographs compel us to reflect and consider our place in the cycle of life. A collaboration between the Grunwald Gallery and the Eskenazi Museum of Art at Indiana University, this exhibition catalogue juxtaposes rich imagery with discussions about the artists and their aesthetic approaches to photography.